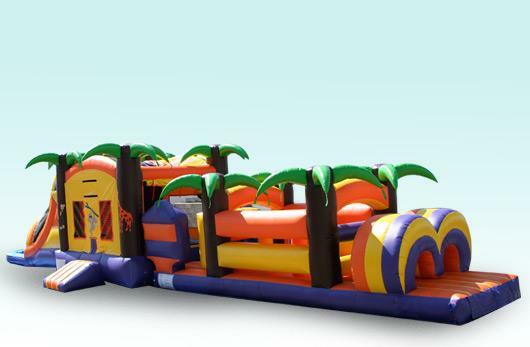 Price $375 for rental periods up to 8 hours. 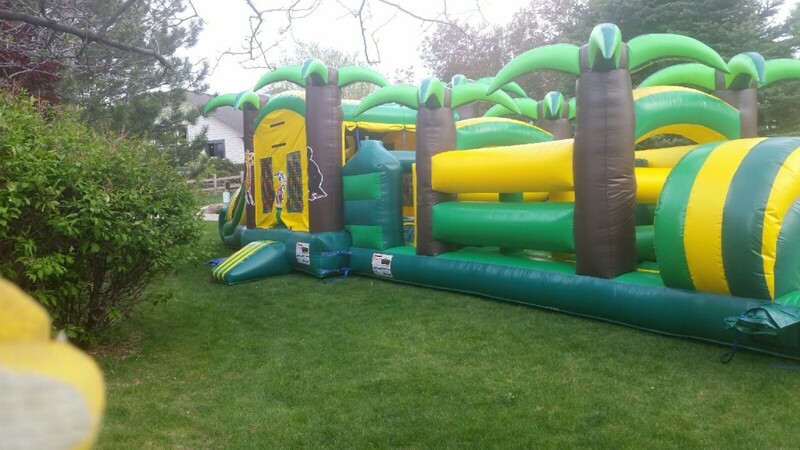 This unit has an obstacle portion, bounce house and a slide. 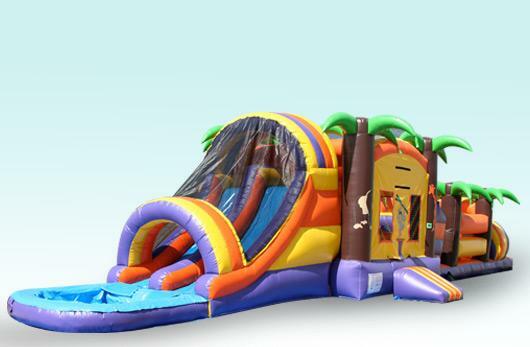 Great for a party with kids that want to run an obstacle course then hang out and bounce or go down the slide.